Variant level inventory simply means that you can keep inventory of every individual variant on any product that you choose. In order to apply variant inventory to a product, the product must have a variant. 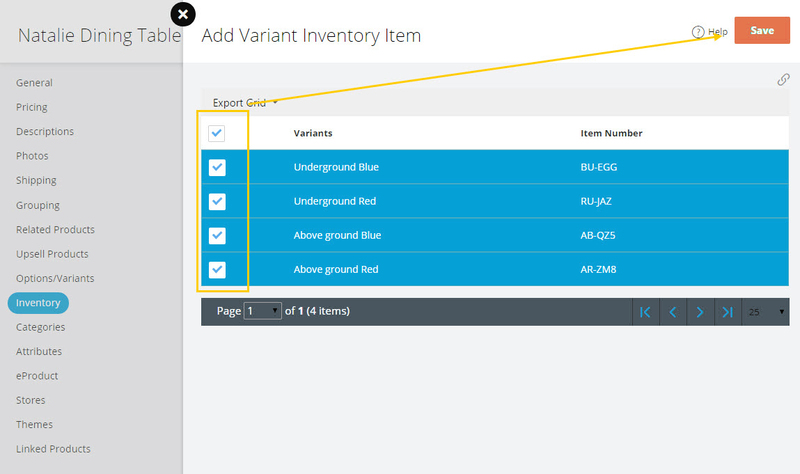 This article will guide you through the steps to set up your variants (HOWTO: Setup Variants / Variant Matrix). Now that you have a better understanding of what variants are and how to add them, let’s dive right in and set the inventory options for them. 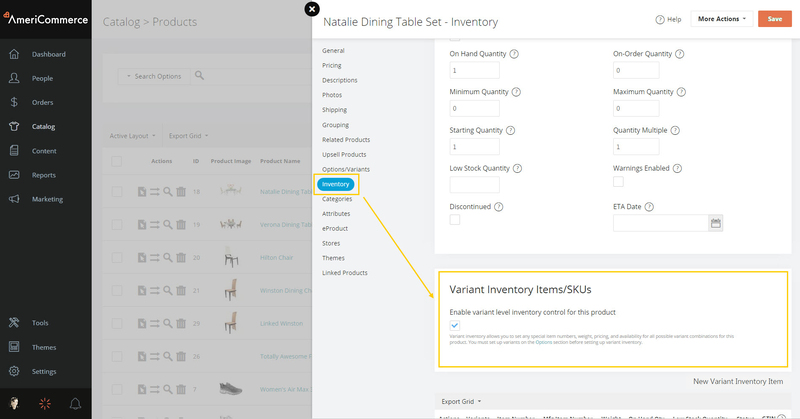 From your product catalog, select a product that has a variant and click on the icon to edit that product. 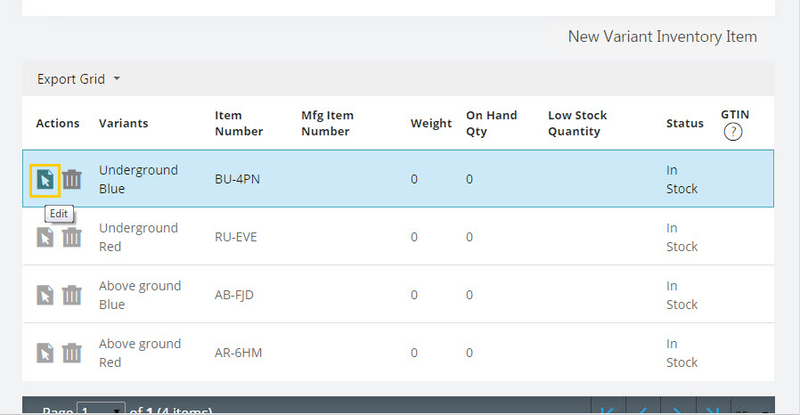 Once inside the product editor, navigate to the “Inventory” section and click the check box to enable variant level inventory control for the product. Don’t forget to hit save up top. For the next step, select which variants will have inventory applied to them by selecting the checkbox next to each variant and hitting save up top. 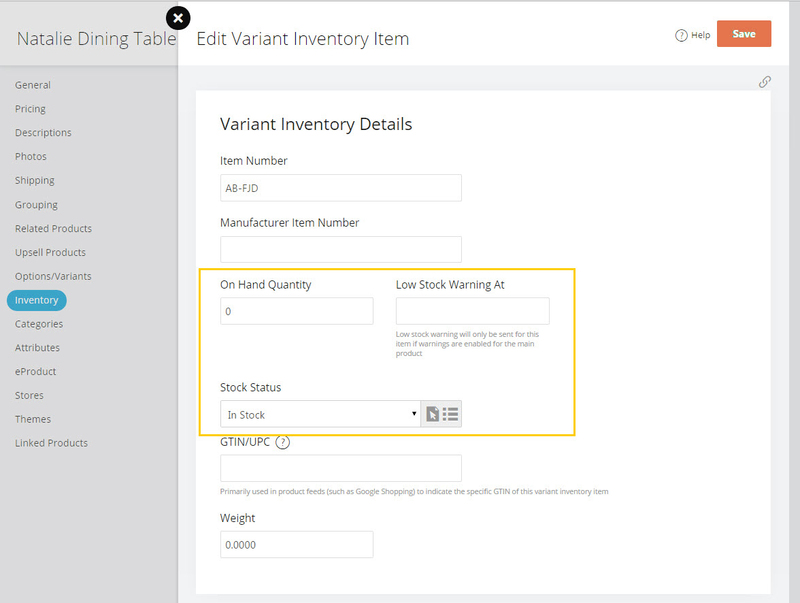 Now that you have enabled specific variants for inventory, you can start setting your available stock numbers for those variants. To do this, click on the edit button for the variant that you need to add a stock quantity to. Once inside the “Edit Variant Inventory Item” section, you will need to set the “On Hand Quantity” amount. This is what your actual number of items in stock will be. As the variant is purchased the number will deplete. The field labeled “Low Stock Warning At” can be used to trigger a low stock warning on the product page that lets the shopper know they need to act fast. There is also a stock status that you can use to manage your variant inventory. Once you have completed these steps, click Save in the top, right corner. You can repeat the steps outlined in this article for each variant that you wish to add inventory to.